is the first volume of new poetry in decades from legendary feminist Beat poet Diane di Prima. This collection provides a personal and political look at forty years of Bay Area culture, often elegiac in tone; the book captures the poet’s sense of loss as she chronicles the deaths of friends from the AIDS epidemic as well as the passing of illustrious countercultural colleagues. Yet even as she laments the state of the city today, she finds triumph and solace in her own relationships, the marriages of her friends, the endurance of City Lights, and other symbols of San Francisco’s heritage. What can one—or I—say that’s worth saying or that others (including blurbers Michael McCllure, Amber Tamblyn and Micah Ballard) hadn’t said before? Yet, there’s a new President in town, ushering in a new type of society. 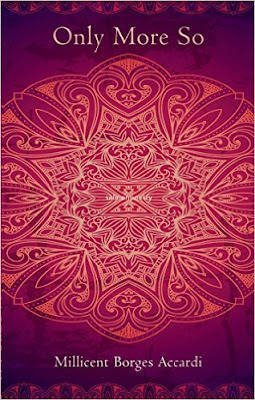 And I remembered di Prima’s book which, as a memoir, described a way of life scratched out and woven together by someone who very much understood her center from which she would live her chosen life. That “center,” as I put it, is poetry: she determined at age 14 that there “was no reason [she] couldn’t do what these folks [Keats, Shelley, Tom Wolfe and others] had done. No reason I couldn’t at least try. At that moment I made what I knew would be a life-long commitment. 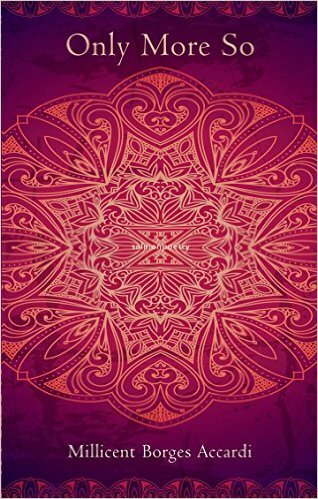 // From then onward for many years I didn’t let a day go by without writing.” This is revealed by the book’s opening, her Inaugural Address as a former San Francisco Poet Laureate. The book ends with another essay, “SOME WORDS ABOUT THE POEM.” Between the two essays are poems. The poems include the title poem “The Poetry Deal” which, among other things, draws my attention to quasars and focuses me on them for the first time (of course I’d heard of them but hadn’t paid them much thought prior to the nudge from di Prima’s poem). that I chew on, all night long. which one of us is it dances? and which is the quasar? Poetry holds paradox without striving to solve anything. Poetry is our heart’s cry and our heart’s ease. It constantly renews our seeing: so we can speak the constantly changing Truth. The lessons (of which I cite just a few) from her ars poetica essay resonate more when one knows of the life di Prima has lived (if you haven’t already, check out her Memoirs of a Beatnik and Recollections of My Life as a Woman: The New York Years). Her lessons aren’t theoretical—they are proven and distilled from an actual lived life. Poets speak truth when no one else can or will. That’s why the hunger for poetry grows when the world grows dark. When repression grows, when people speak in whispers or not at all, they turn to poetry to find out what’s going on. Poetry holds the tale of the tribe—of each and every tribe, so when we hear it, we can hear each other, begin to know where we came from. Since the presidential elections, I’ve heard more than one poet express the fear of getting the attention of the new administration which, after all, has not shied away from threatening those who would disagree with its policies. These poets shared their fear, and then, what happened? Well, they are poets, and so they continued on to protest—loudly—through their writings as well as their actions. One can be scared of something and also rush to engage that something—that’s a paradoxical act facilitated by Poetry. For offering this reminder, this affirmation, di Prima’s The Poetry Deal is not just recommended but timely. As for quasars? 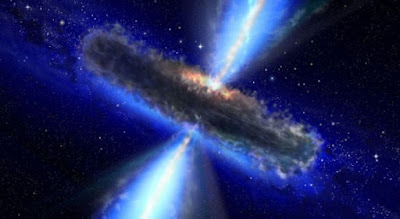 Well, over 20 years after they were first discovered, scientists came to agree on the “active galaxy theory as the source of quasars” such that several types of objects—quasars, blazars and radio galaxies—are actually all the same thing. They were thought initially to be different from each other only because they looked different when seen from different angles. This active galaxy theory raises (in classic Poetry leap) this question: is No. 45’s new administration really a … new threat? It was a cold night of December 17th, 2016. The occasion was Kaurab International Reading Series at Kolkata, India. Poet Murat Nemet-Nejat was reading his new book length poem “Animals of Dawn”. Breaking the cover of oyster the pearl was engraving the architecture of animals, plants, speck of dust, dew, of dawn with colour and without colour. A purple grief from the surface of his realization was flying towards me from dark to light, from real to unreal. A sinless tear was laughing on his sensitive lips as he was reading through the book. A terrible disaster flashed on my earlier realization of Hamlet. A new feeling started swinging at the confluence of appearance and disappearance myth. “I want to make Hamlet, to dis appear. we start jumping from our first life to second life (poet life). between void and non-void, real and unreal, living and un-living, sanity and insanity. Murat‟s “Animals of Dawn” is not a comparison with Hamlet, but a metaphor. Let time be illusory. Wonder will see all boundaries are breaking around. If you tie up space- time, all laws of science will breakdown, like breaking of first love at fencing. For the duality let’s go down to relativity through classical water-stair. Wonder will see infinite has held your finger. The next characteristic is consciousness. How can we define it? Is it the soul as the poet defines it? According to Orch-OR (orchestrated objective reduction) theory of consciousness given by mathematician and physicist, Roger Penrose, “consciousness is derived from microtubules within brain cells (neurons) which are sites of quantum processing”. Again, as per spiritual belief the soul is immortal, death can’t destroy it. Then what about this consciousness? Does it exist even after our death? “to be it, does it have to exist? “In the music of time there’re no bars. The time, that is within time, is chaos. When I enter into the last phase of the book, I encounter a quantum jump of poetic form. Most part of the poem has created a space, a lot of space for reader. But the last few pages are just like a script of a film, even covering the full page. Why this transition, I asked the poet during Kaurab International reading season. The poet‟s answer was, „a relief for reader‟. Means with a lot of space also the reader gets bored and want to have something continuous script like structure, where the reader can flow away with the panorama made by the poet, just like cinema. In a reverse way I can say Murat’s last part of the poetry has turned into a successful script of a cinema. This transition, from the frame of poetry with space to the frame of film-script, is an irregular jump; I can say a quantum jump from void to the matrix motion. I will slightly differ from poet’s view of reason for this transition. Truly speaking the space in the poem is a vital issue for me, personally. I am in the middle of my new experiment where I construct my own poem sitting in the space created by a poet in his poem. I am going to publish a new book regarding this subject from Kaurab publisher in the International Kolkata Bookfair in January, 2017. When I read a poetry book, if the poems trigger me, if I can assimilate the original poems in my way of realization, then I can construct my own poem from the original one. In this process deconstruction comes into play first. Then I spread the assimilated feelings in a continuum of my way of life and construct my own poem with an internalized language. This process demands a lot of space in the original poem. Therefore I will say this change of poetry form in Murat’s “Animals of Dawn” is a phase transition. The poet wanted to capture the view of Hamlet, where Hamlet‟s main objection was against the second marriage of his mother. The detailing of each snapshot with illusive creation of continuous motion is a perfect reflection of this view. Instead of relief, reader gets a pleasant journey through the scenes. I will say this is a fast moving cinema where flow, dimension, movement has been captured with correct words. A proper speed, oblique hesitation of vision, gap between scene and the zooming technique has been properly installed to make it a visual poetry, where each frame has been stitched aesthetically. Script is not the poetry, a form of poetry. I like to see the whole book as a single poetry. During the journey through this poetry different feelings were zooming in, fading out, some conflict, were getting mingled with my consciousness. But the homogeneity of Murat’s poem is capable of transcending all feelings of conflict. For me journey through Murat’s “Animals of Dawn” has become an excursion of searching the relation of my present position in the background of infinite periphery, where “the interior marries the exterior in the womb”. On the surface of cold evening of December, I spread all void, tied on my finger, on jingling water wave as Murat was reading his poem. The shallow layer of emptiness washed away with tune without tune with the sound of his poetry. A face of eternal evening woke up at the navel root of expanded night. Poet, Essayist and Translator Murat Nemet-Nejat was born in Istanbul, Turkey, and lived in the United States since 1959. He studied literature at Amherst College and Columbia University in the United States. 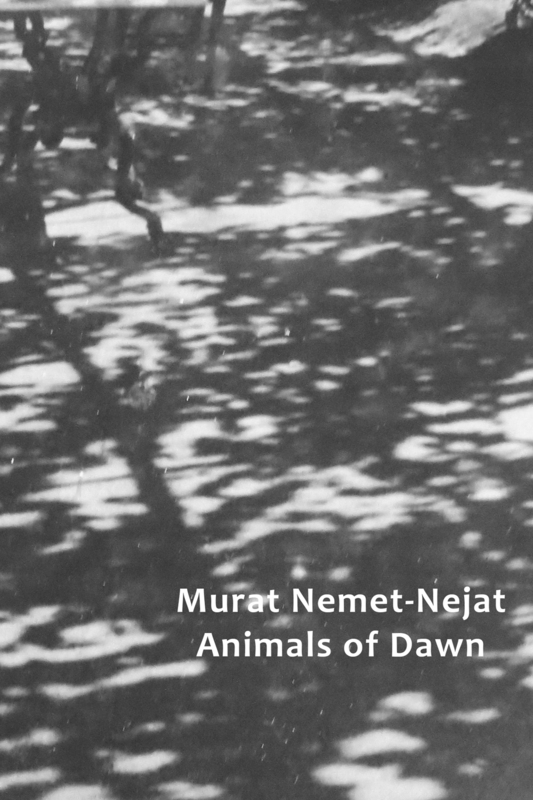 Murat Nemet-Nejat is the author of several books of poetry like The Bridge, The Spiritual Life of Replicants, Structure of Escape, a 7 part long poem and most recently Animals of Dawn. He is the editor of Eda: An Anthology of Contemporary Turkish Poetry (Jersey City: Talisman House, 2004). His books of translations also include Ece Ayhan's Blind Cat Black and Orthodoxies (Los Angeles: Sun & Moon Press, 1997) and Orhan Veli's I, Orhan Veli (New York: Hanging Loose Press, 1989). Ms. Runa Bandyopadhyay, from West Bengal, India, is a poet, writer and reviewer in Bengali language. She is the Scientific Officer in Bhabha Atomic Research Centre, Mumbai, India. As she herself says: "Philosophy, history and science are the subjective face of my poetry, but not the subject itself. I roll down from subject to wonder, to confusion of object in a centripetal travel. Weaving the truth of moments with silent tears, I start writing the alternative history of life-river. I like to review those books which trigger me to write my own poem in my own way." Her books include: poetry, “Aseemer Khelaghor” (Playroom of Infinite), “Tamas Journal” (Journal of Darkness), “Poroborti Songbad” (The Next News ); reviews, “Antarbarti Pangkti” (Between the lines), “Tamoser Alokbhromon” (Light-travel of Darkness); and stories, “Parankotha” (Word of bosom), etc."